Nathans has served patrons in Georgetown for 40 years. Sunday marked one last night at Nathan's in Georgetown. 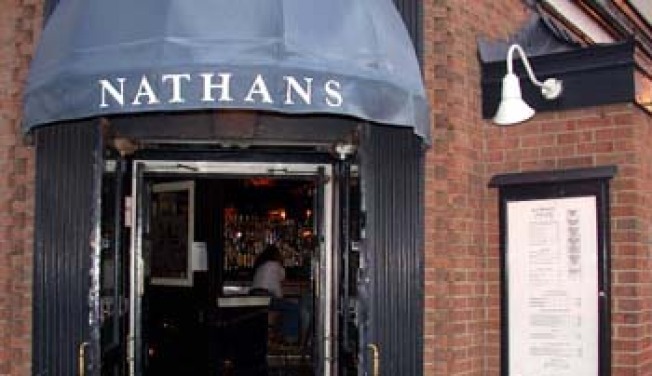 The landmark restaurant served its usual fare, with brunch starting at 10:30 a.m., but at 2 a.m. Monday morning, owner Carol Joynt officially closed Nathan's doors. It's a relief for Joynt -- who said it's something she should've done 12 years ago -- but maybe not for her customers. "For my staff and customers, it's a very sad day, but fortunately most of my staff have found jobs," she told News4. "There was a woman who sat at the bar yesterday, drinking her wine and sobbing. I think it was because she met her lover here every day -- and she left in tears." Joynt says she still owes more than $20,000 in back taxes alone -- when she took over the restaurant after her husband's death, she also inherited millions in debt -- but told News4 that people, "out of the goodness of their hearts," have been coming by and dropping off checks during the final weekend.